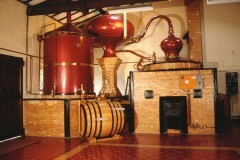 The features of the Charentais pot still are defined in the specifications for the AOC Cognac. To obtain the brouillis, the still may have a maximum capacity of 140 hl (with a tolerance of 5%). The load volume of wine is limited to 120 hl (with a tolerance of 5%) . For the “bonne chauffe”, the total capacity of the still must not exceed 30 hl (with a tolerance of 5%) and the load volume is limited to 25 hl. The boiler must be heated over an open flame according to traditional and customary usage. In fact, distillation over an open flame allows the complementary aromas to come together when the wine comes into contact with the bottom of the boiler. 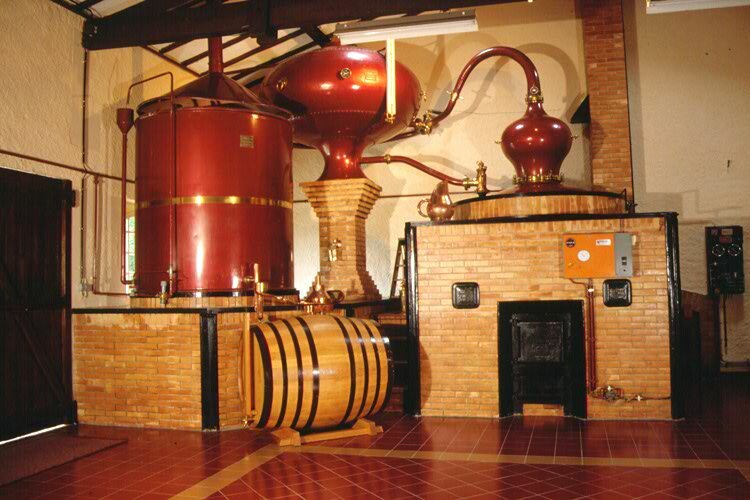 Only those eaux-de-vie that contain a maximum alcohol content of 72,4% abv at 20°C can benefit from the Cognac AOC designation (after double distillation, in the recipient which collects the wine spirit every day). 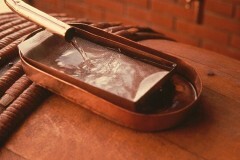 The wines must be distilled no later than March 31 of the year following the harvest.